In the late 70’s, Star Wars and NASA had cemented interest in space exploration for a generation. 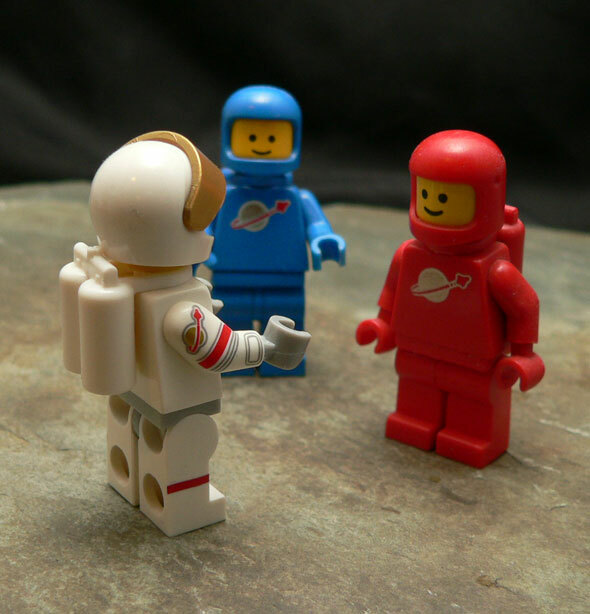 It is no surprise that one of the first Lego series to have Minifigures was Space. It’s also not a surprise that those figures remain as popular as the City series. 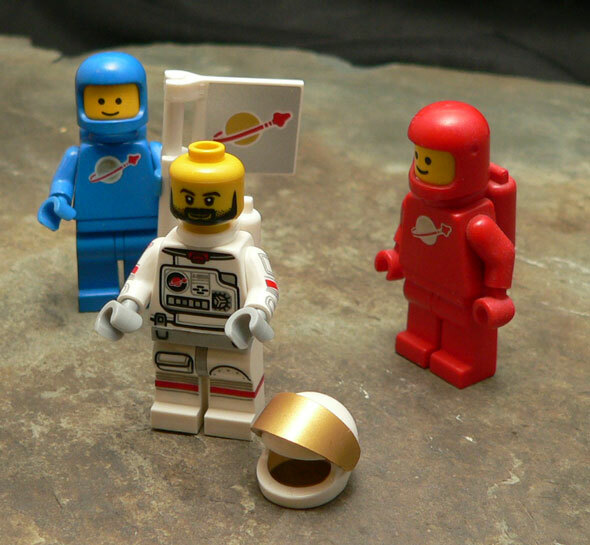 Instead of releasing a plain Spaceman figure in their newest blind bag series, Lego chose to provide an updated version. And they did some really clever things. First off, this figure seems a bit off white to me. I haven’t got it to show well in the pictures, but he isn’t the brilliant white you see for new plastic typically. He’s subtly off. I noticed this when he was standing on a piece of paper on my desk. He really reminded me of an aged white brick. Starting at the top, this guy has what I’m guessing is a a racing helmet with a gold solid visor. This does a pretty good job approximating actual space helmets. To be honest most of us will leave it up, anyway. Underneath the helmet is a bearded face with some stubble. This guy has obviously been a long mission. Sorry, Benny, but I like this look a bit more over the vintage 2 dots and mouth. What surprised me was that he came with a vintage style airtank pack. I knew he was coming with that great Space flag, so didn’t expect another piece to be in there! The best thing about this figure has to be the paint. It’s everywhere. The chest is very detailed and contains the Lego Space logo. At the bottom of it are some latches that match up to the top of the legs! Speaking of the legs, there is a pocket on one and a red line on the front and sides of the legs. The arms aren’t to left out with groovy detailing and capped off, once again, with a Lego Space logo on his right shoulder. Overall, I have to say I’m pretty impressed. This guy really sucked me in on the nostalgia factor when I opened him. 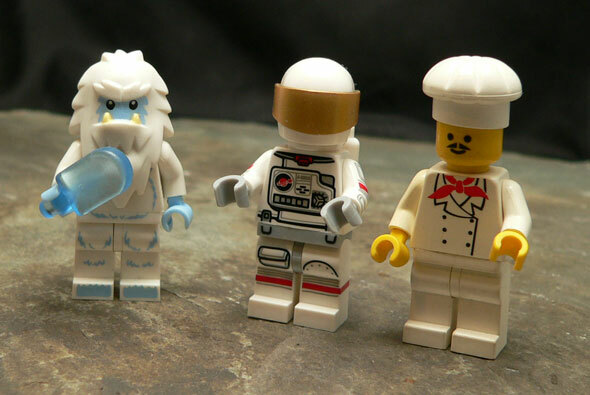 My very first Lego Minifig was a white Spaceman with a small ship. This guy would fit perfectly in that ship! 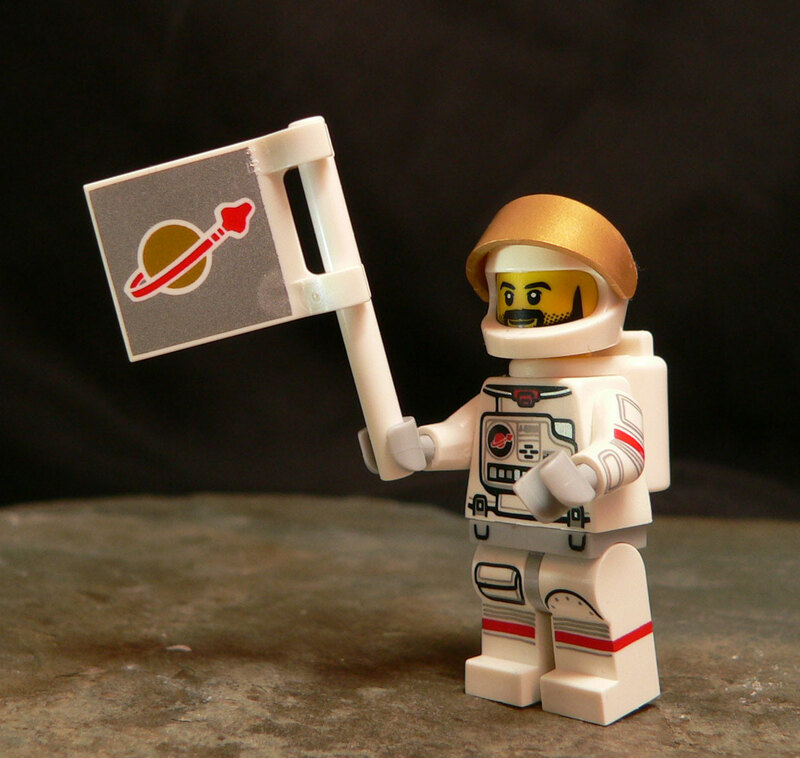 I’d have been happy with just the chest being painted, but Lego knocked this update out of this world with the extra paint, back pack and flag.